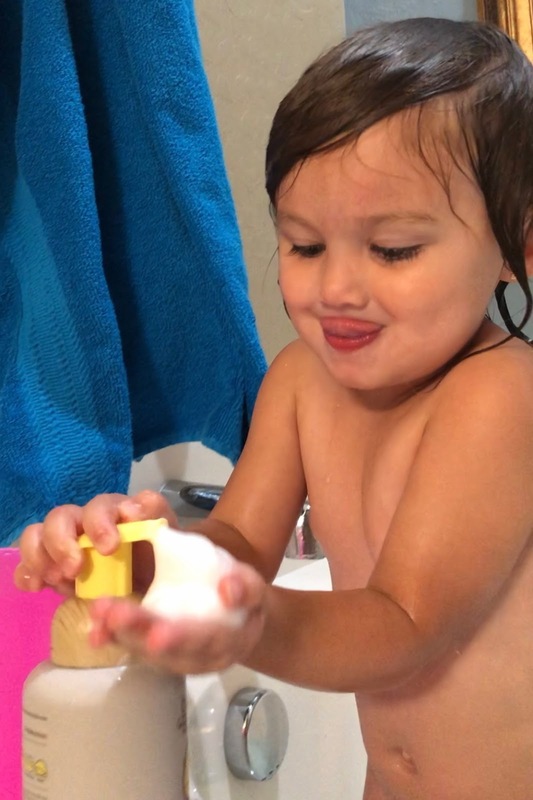 Perry loves to wash herself up in the bathtub. 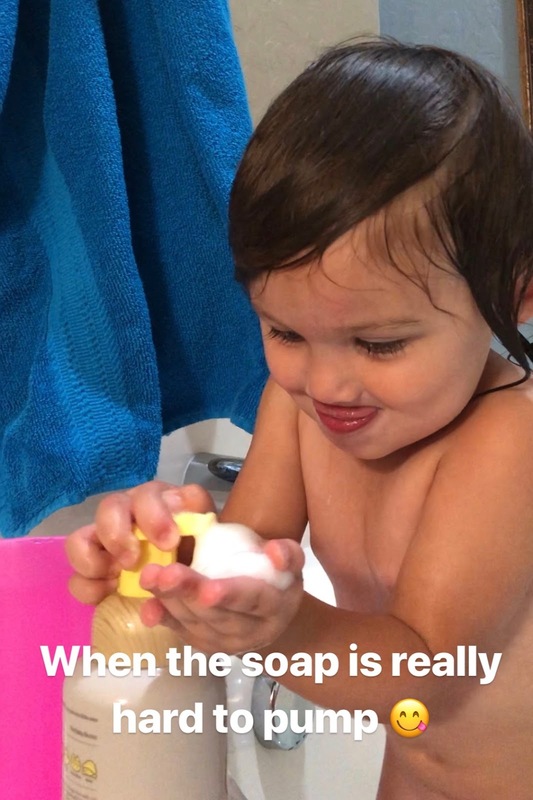 She makes the cutest faces while trying to pump soap from the bottle. We found a tarantula in the back yard that freaked everyone out. 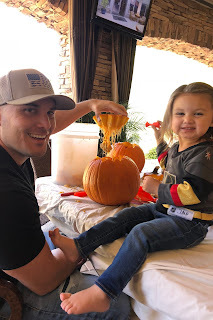 Perry was a little traumatized when Daddy killed it, and then she decided that she wanted to hold it. She had a hard time waking up for school the next morning. 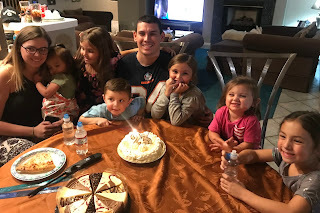 We celebrated Uncle Elijah's birthday at Grandma and Grandpa Espejo's on Tuesday. 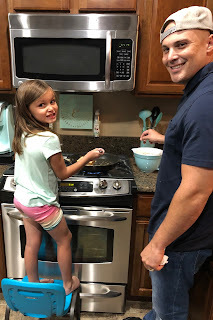 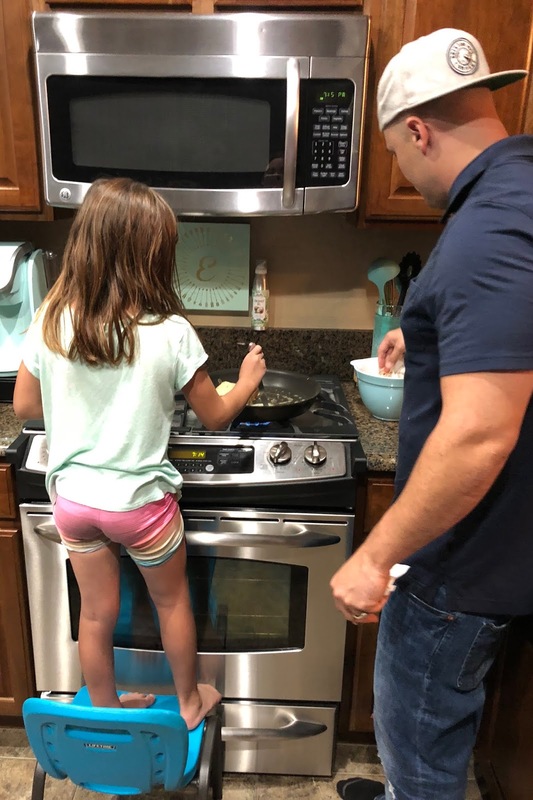 Charley helped Daddy make french toast for dinner one night. 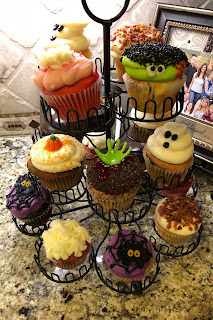 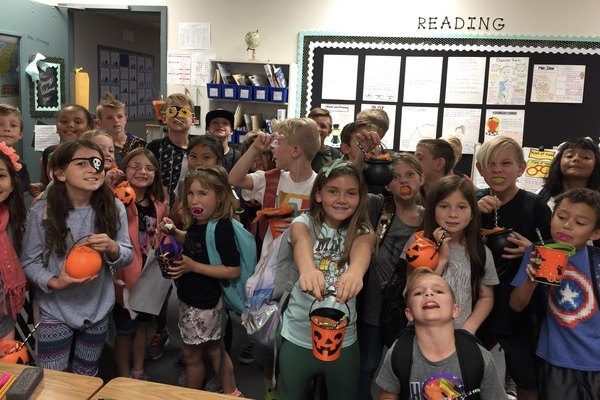 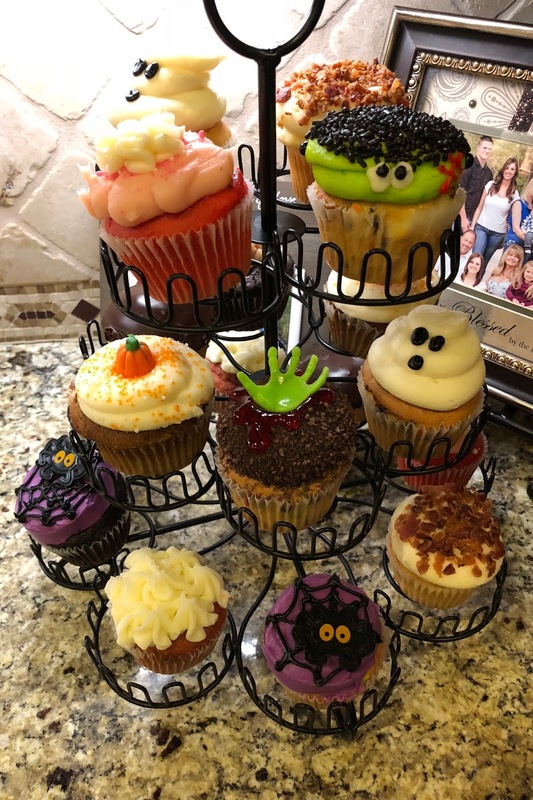 Grace's class celebrated one of her friend's birthdays with Halloween treats. 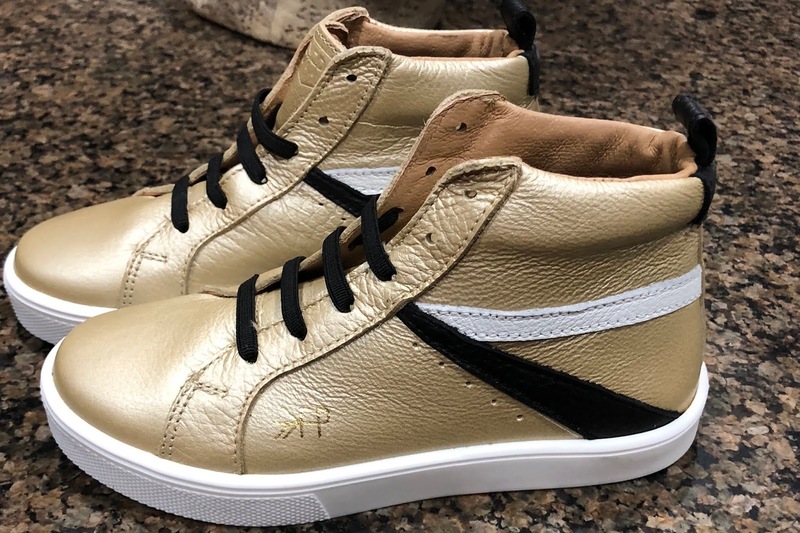 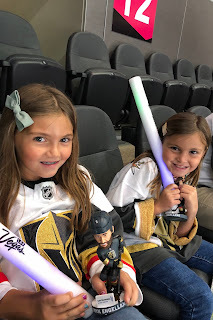 Charley and Perry got the cutest new shoes that match our Golden Knights colors perfectly. 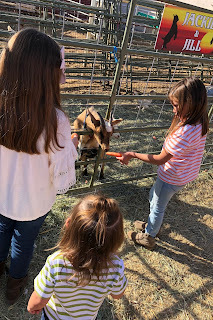 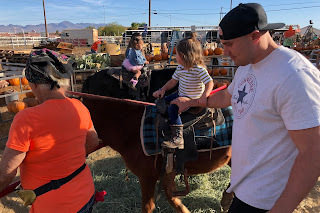 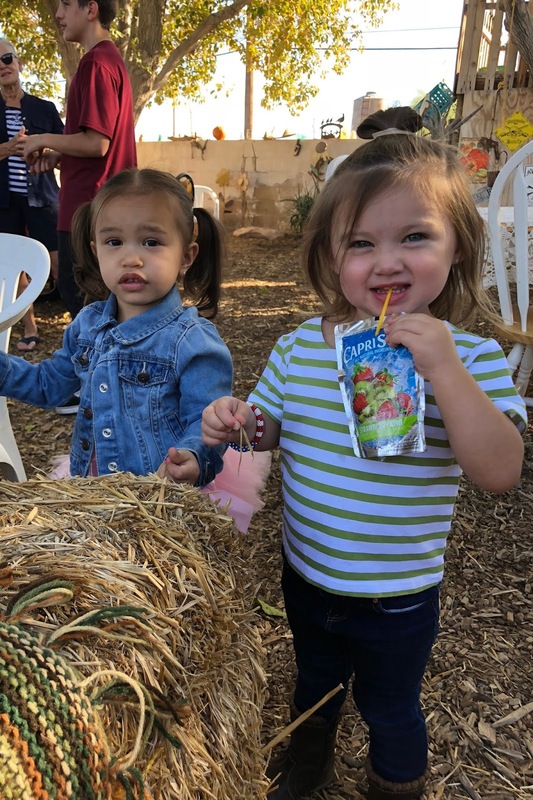 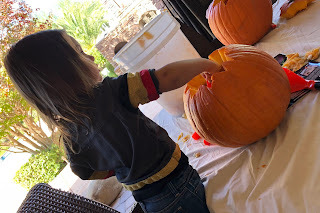 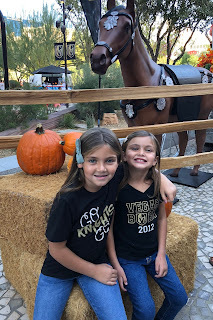 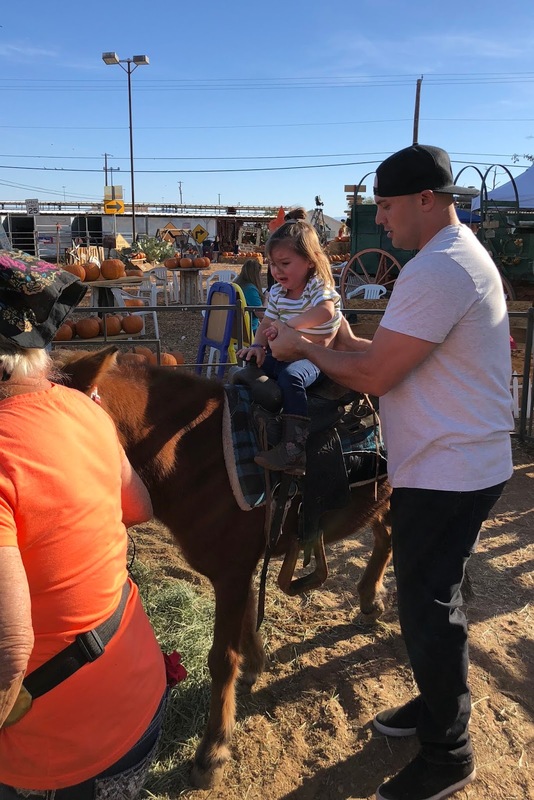 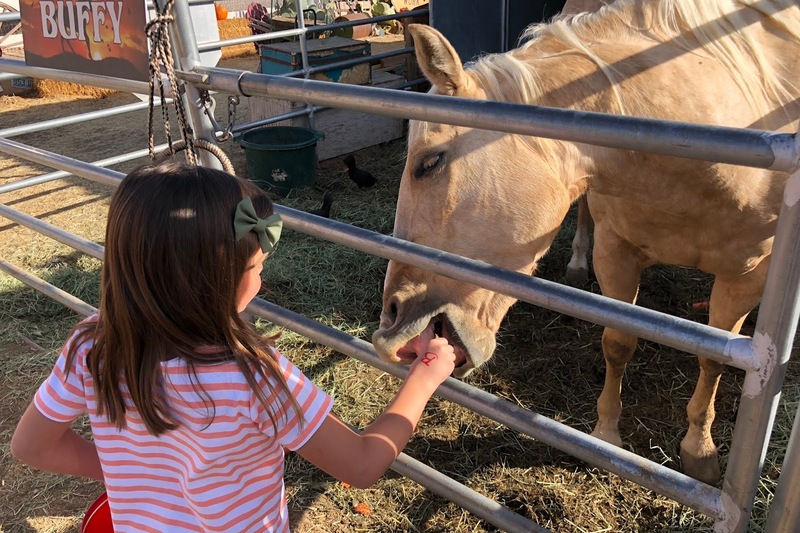 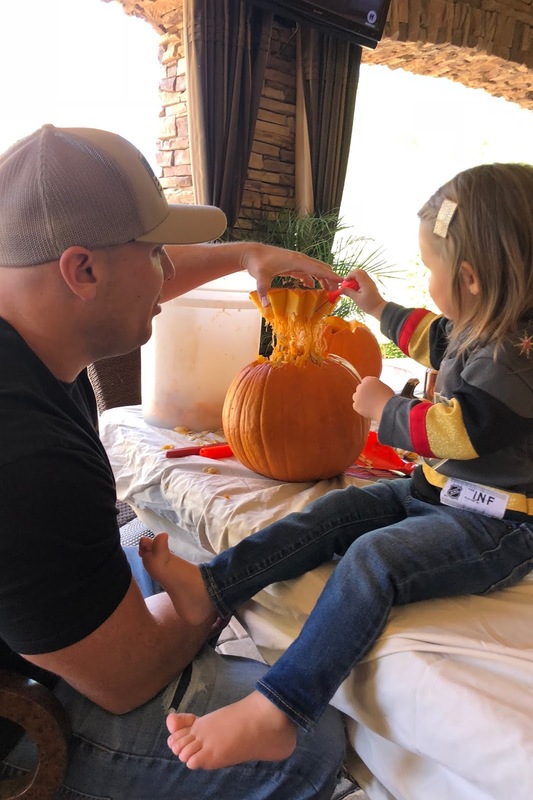 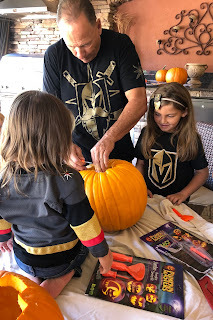 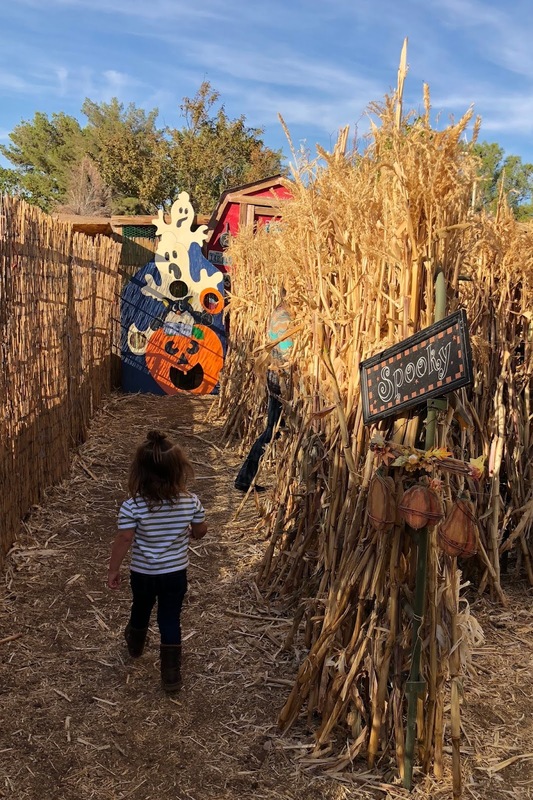 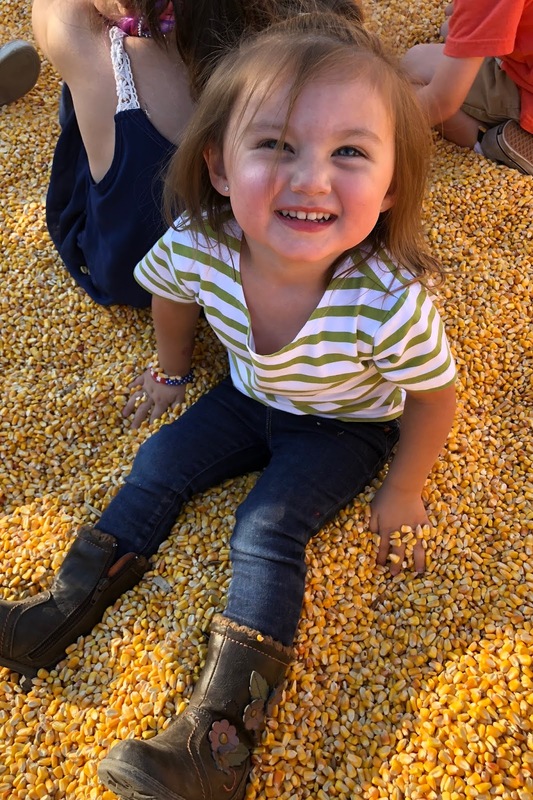 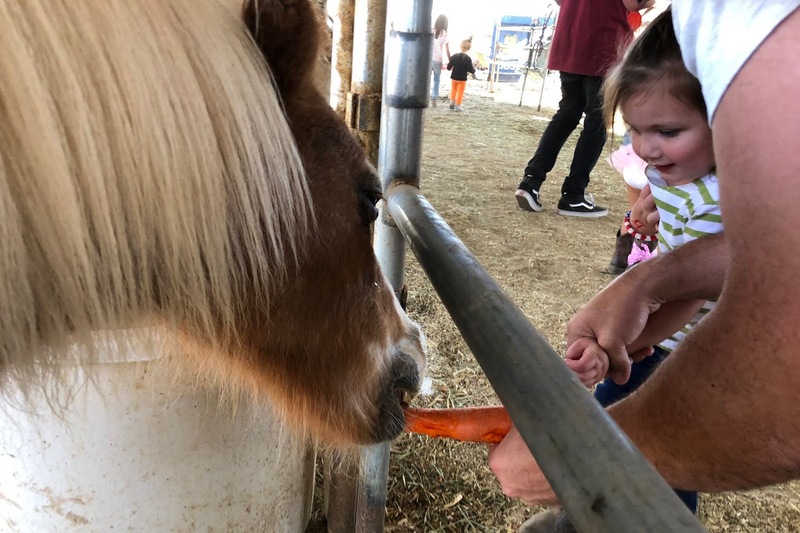 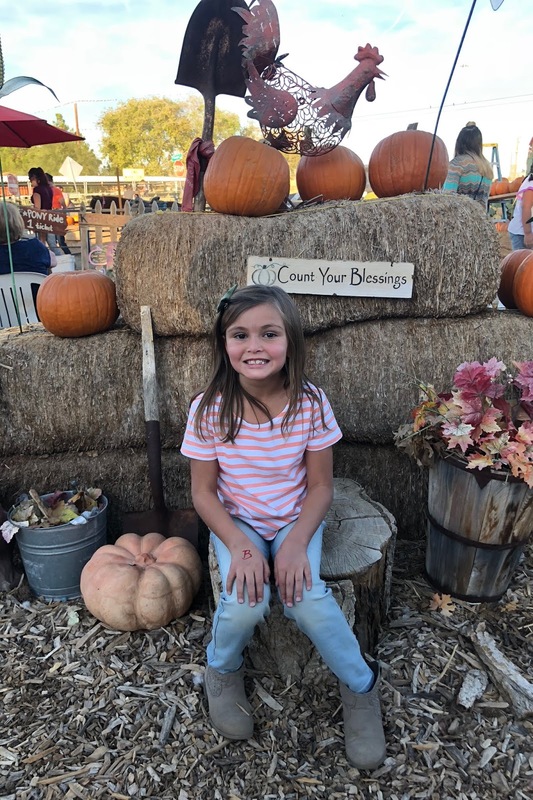 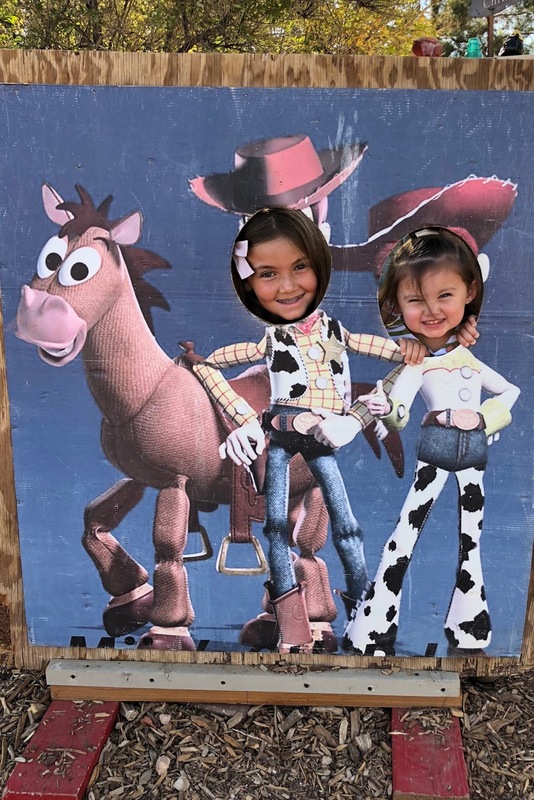 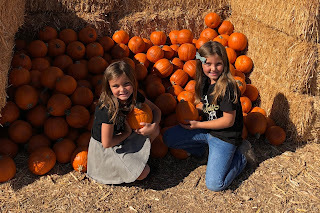 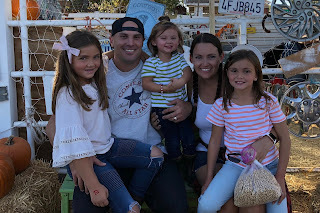 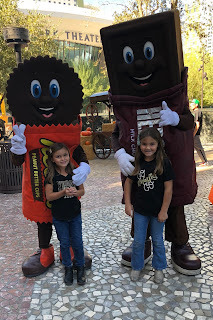 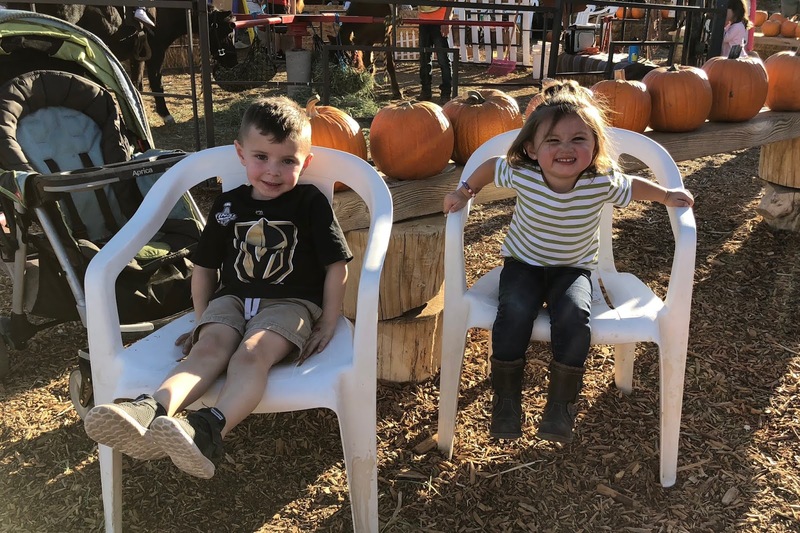 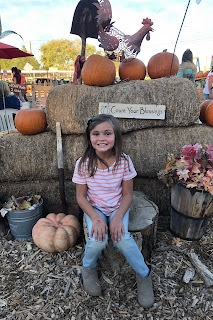 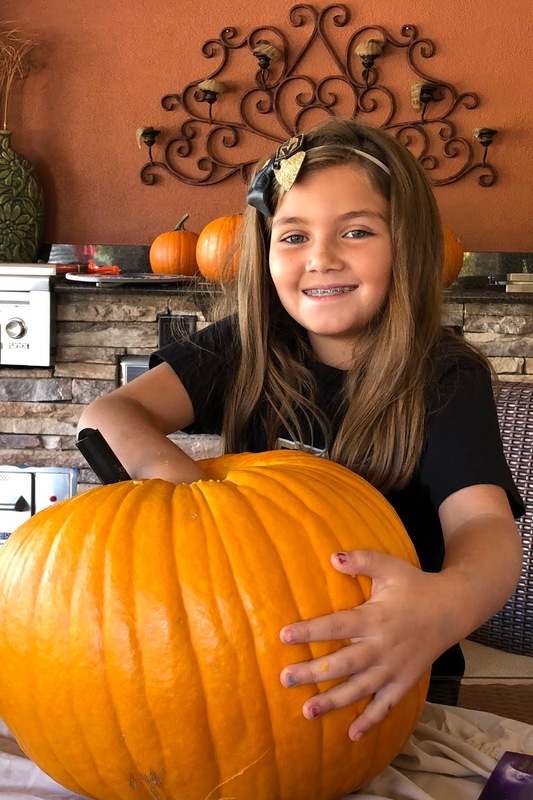 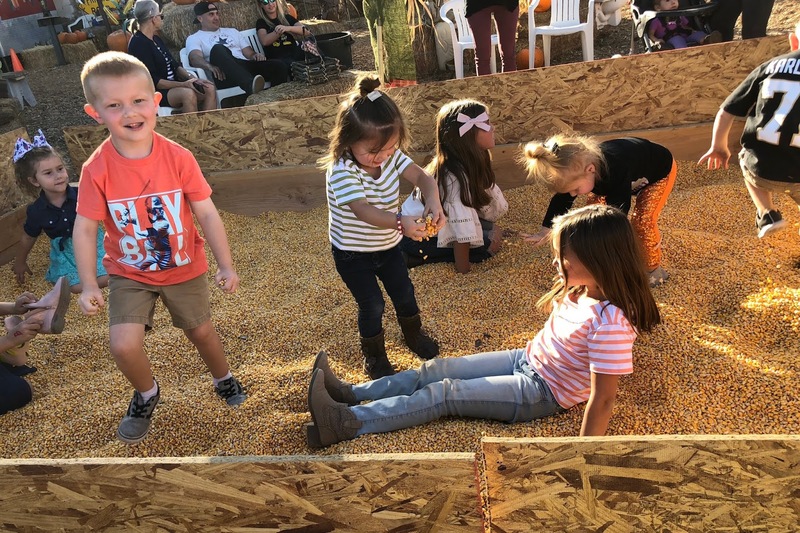 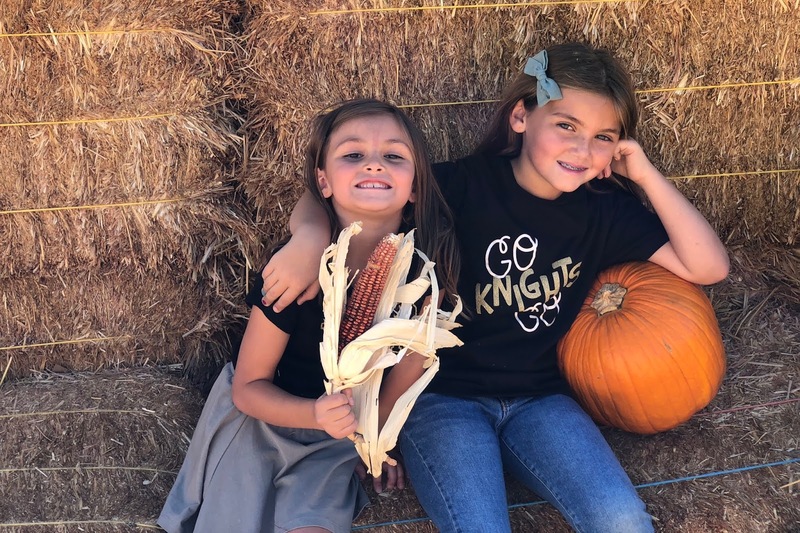 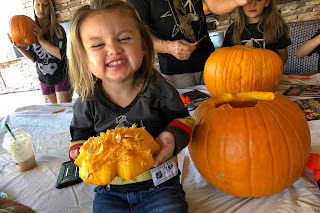 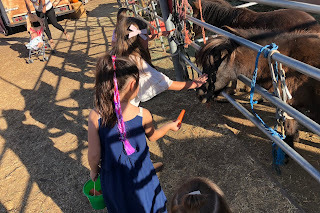 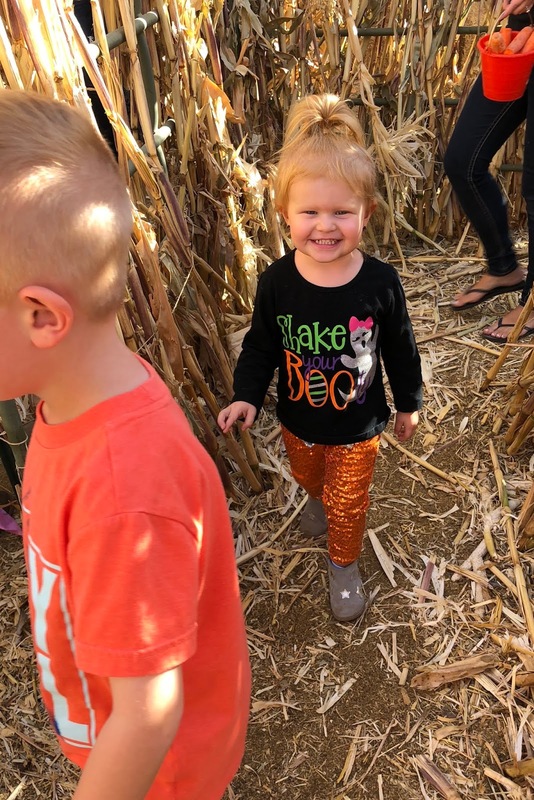 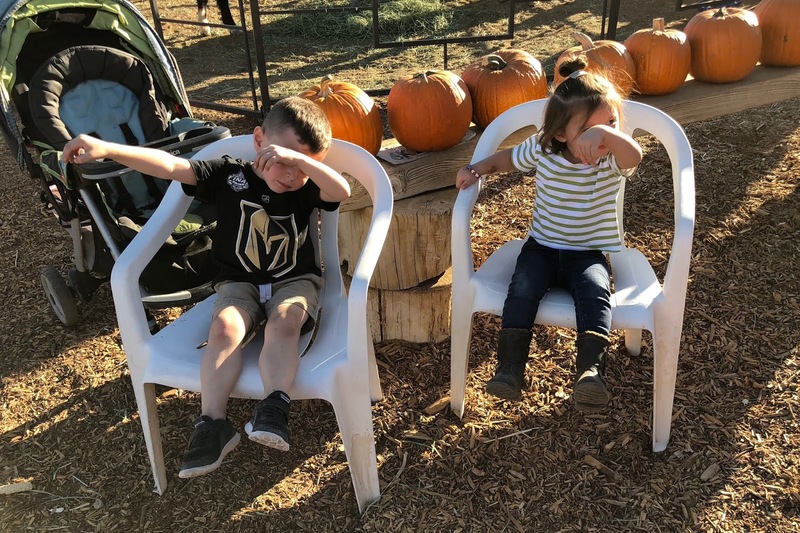 Since Grace and Char had no school on Friday for Nevada Day, Grammy took them to the pumpkin patch and the Golden Knights game that afternoon. 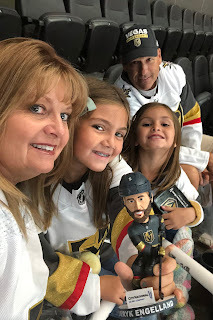 They had so much fun spending the day with Papa and Grammy and especially loved their Deryk Engelland bobble heads that they got to bring home with them. 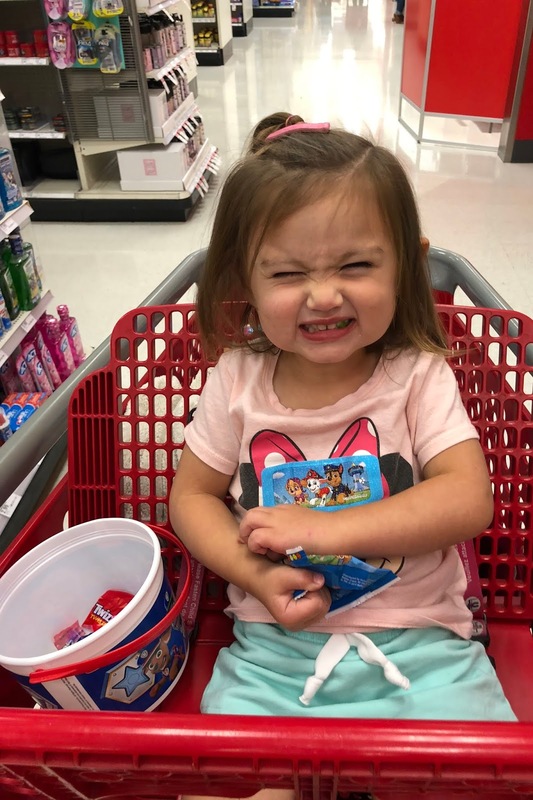 I took Perry to Target on Saturday, and she got to Trick or Treat through the store while we shopped. Her favorite part was a giant Paw Patrol bandaid that she got. 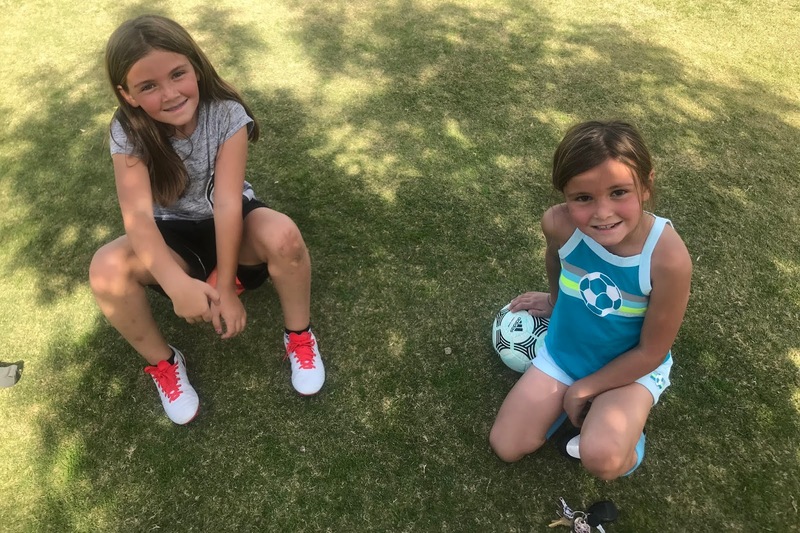 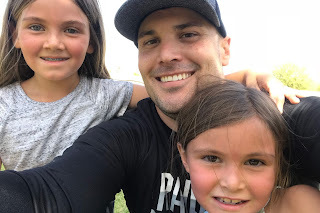 Meanwhile, Daddy took Grace and Char to practice soccer at the park. They didn't have games this week due to the holiday weekend, and they didn't want to go a whole week with no soccer. We went to McKee Ranch on Sunday to celebrate Brielle's birthday. 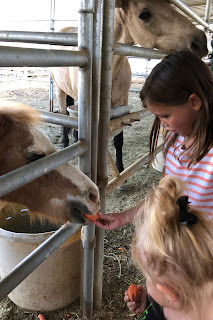 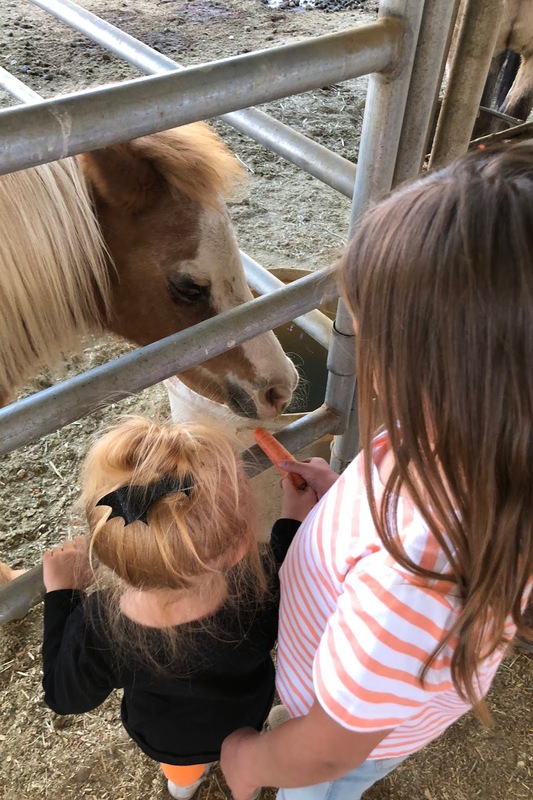 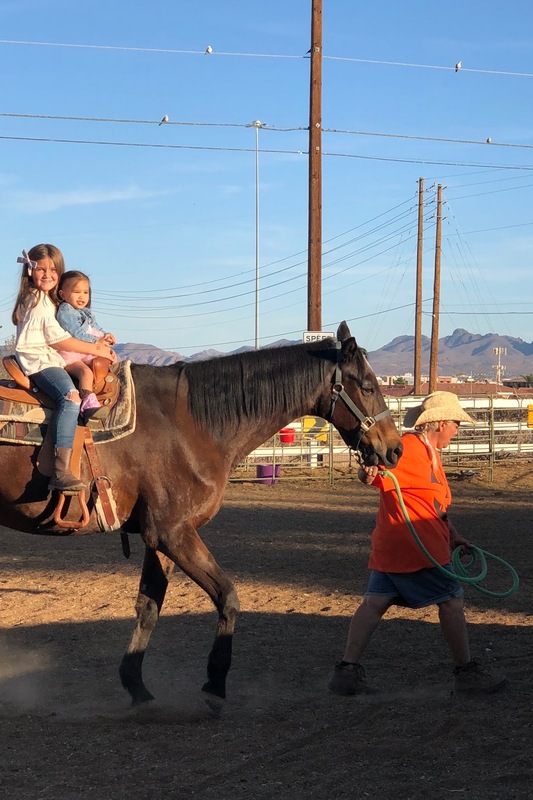 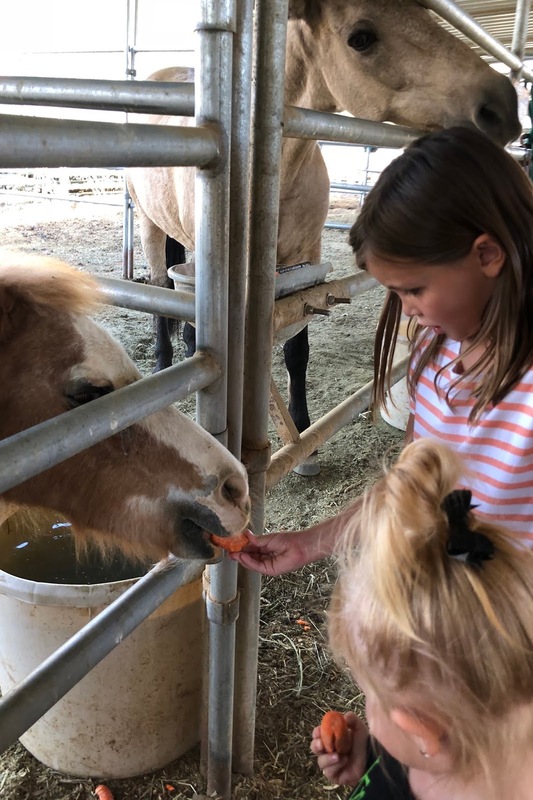 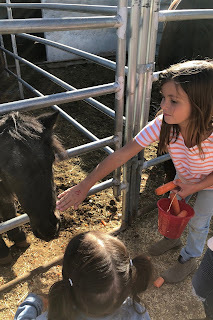 They girls had the best time feeding and riding horses and playing with their cousins. Perry was not into the pony rides at all. After she got off, she kept telling me that she was a big girl and didn't even cry when she rode the pony. 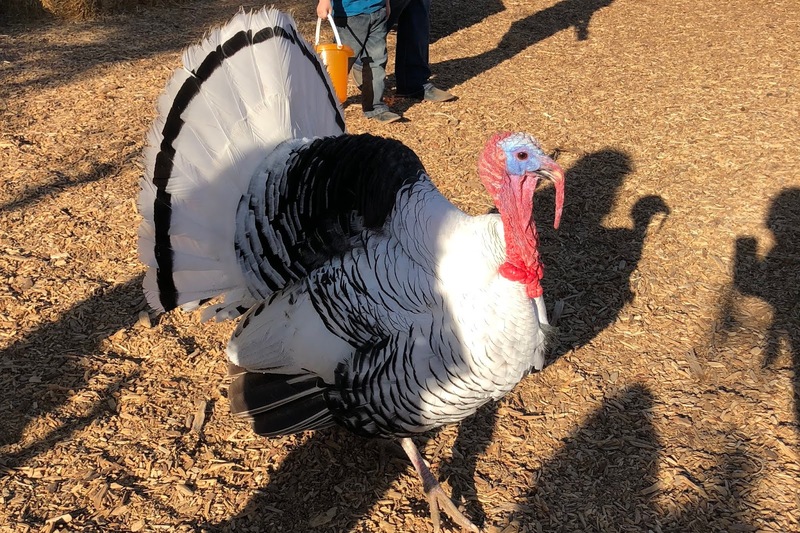 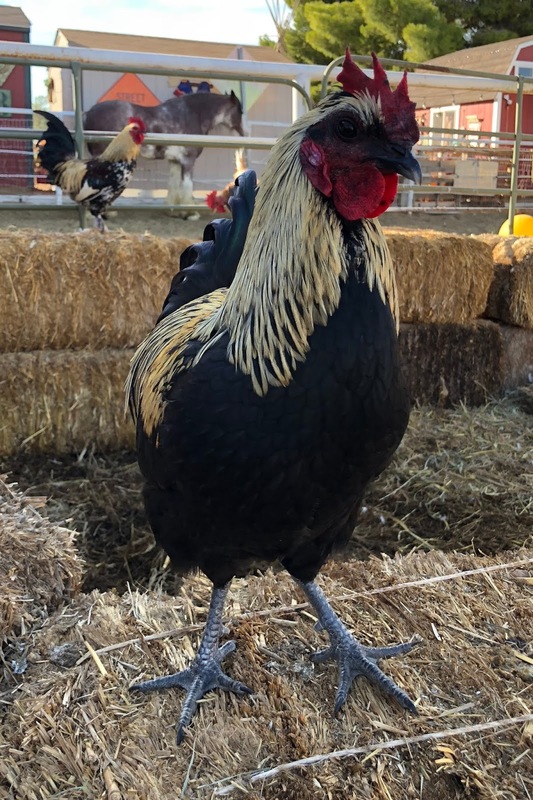 We saw all kinds of roosters, ducks, geese, and goats, too. The girls fed them carrots and Cheerios. We went through the hay maze, and lost the kids when they went back through over and over again. 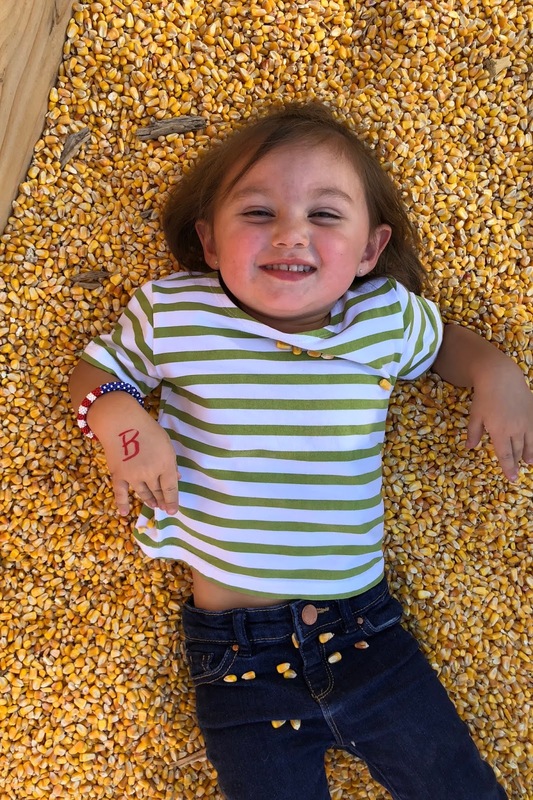 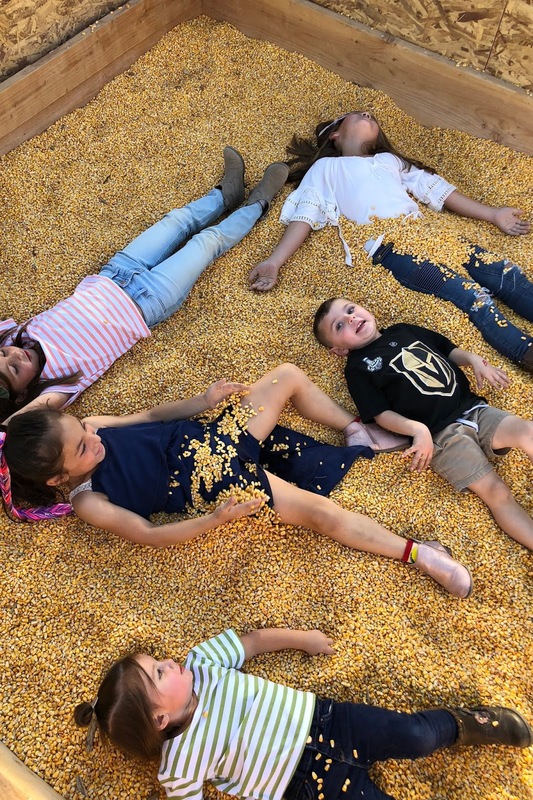 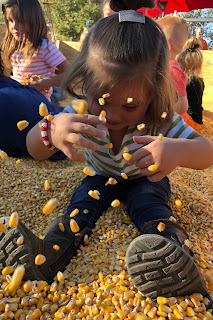 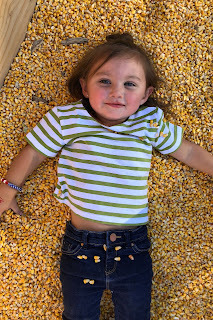 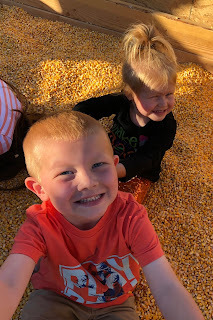 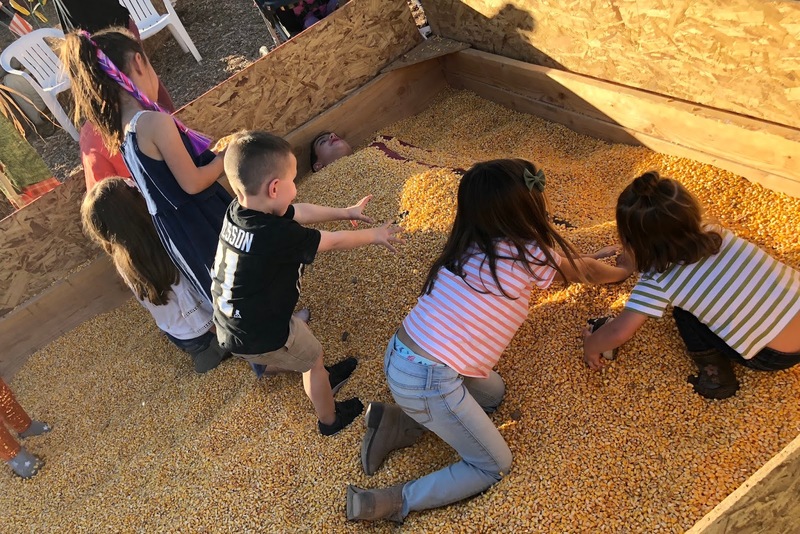 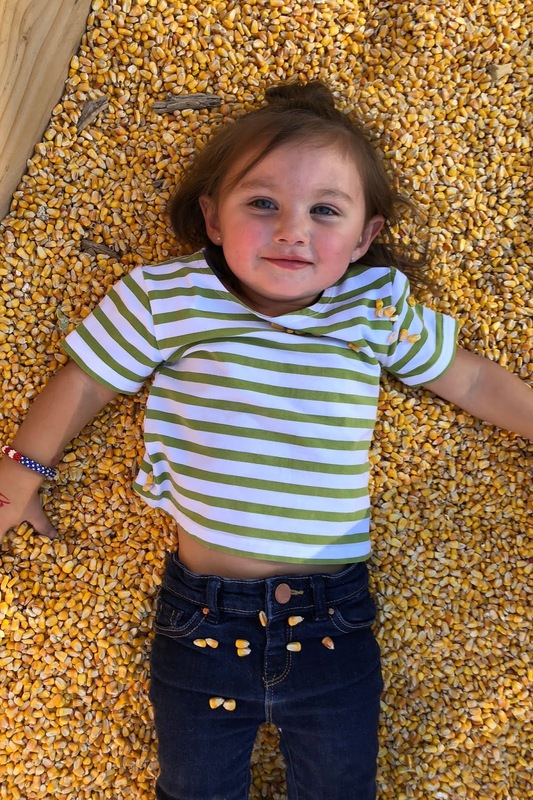 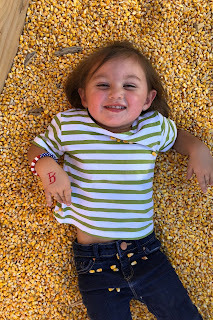 The corn pit was another hit with the kids as they threw corn everywhere and swam in it. 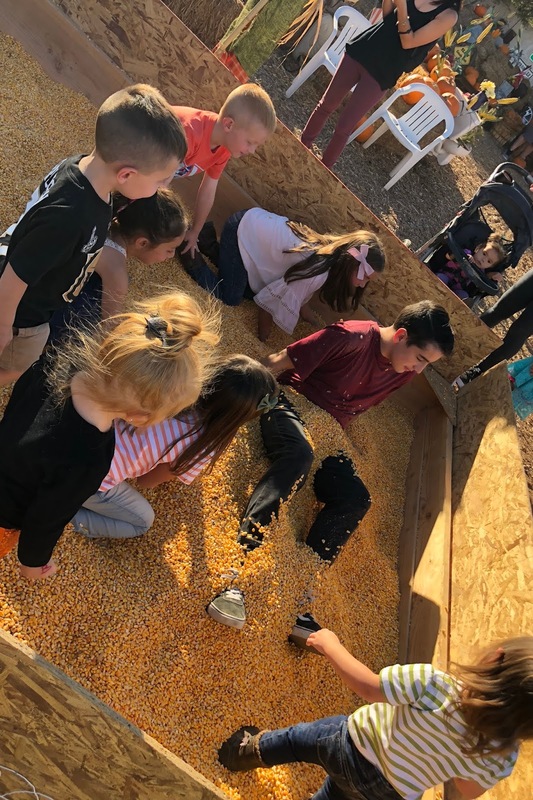 They even buried Ashley's brother. 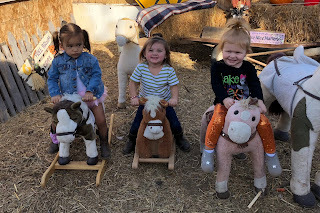 Paxton and Perry waited patiently while the big kids rode the horse. 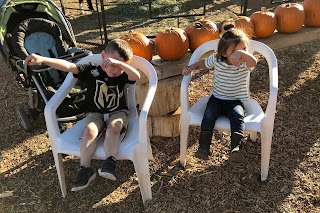 Isaac even taught them to dab. 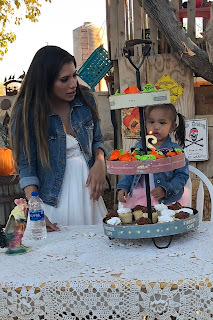 Happy Birthday, Brielle! 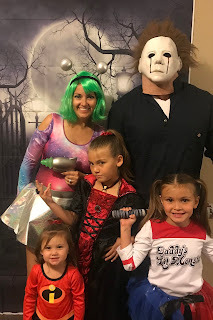 We love you!! 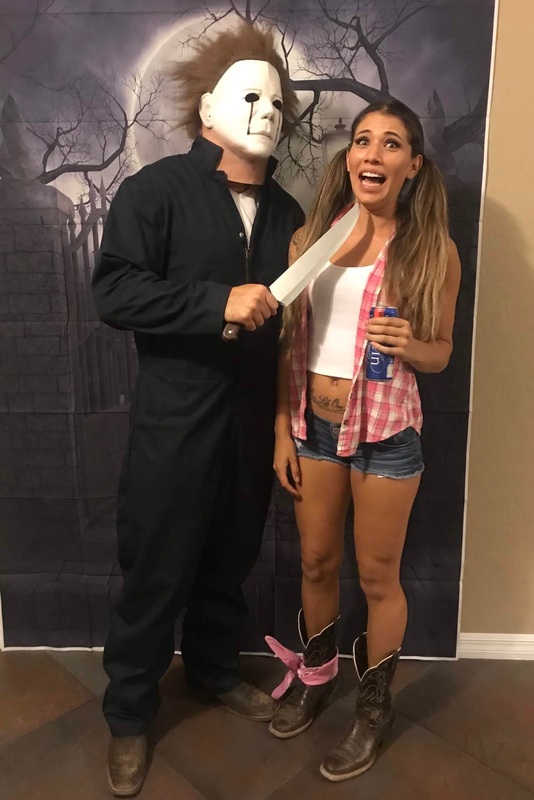 That night, we went to my sister, Geni's, for her Halloween party. 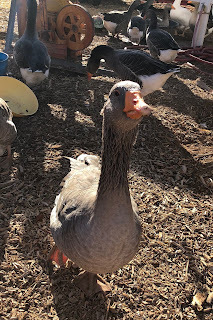 Perry and I snuck out early to go home and go to bed while the rest of them partied the night away. Perry woke up Sunday morning and sang along to her Vampirina guitar. 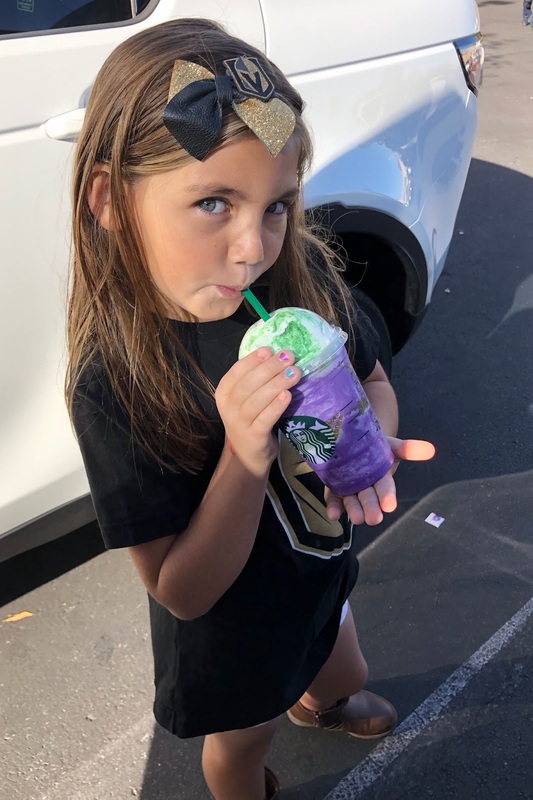 Grace got the Witch's Brew frappuccino from Starbucks, and it was horrible. 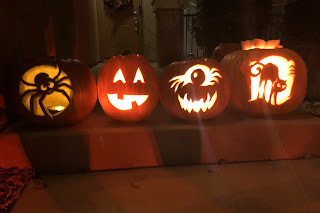 It would have been better without the little bubbles in the middle. 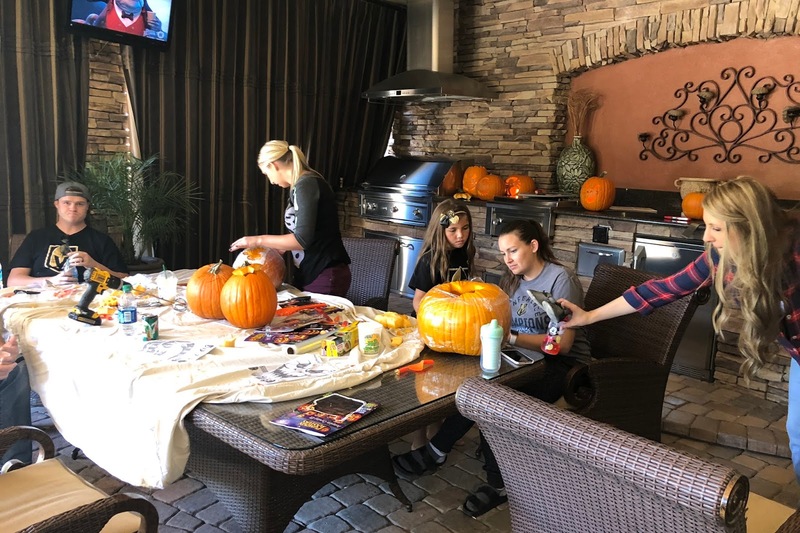 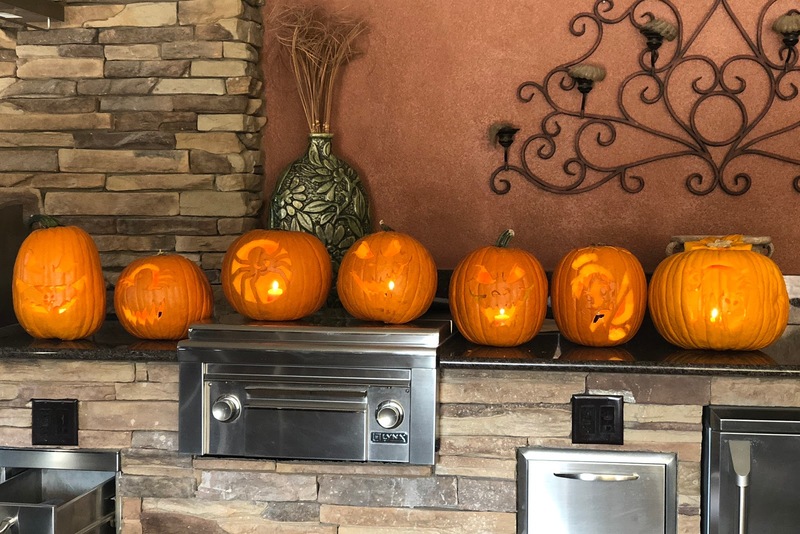 We headed over to my mom's where we spent the day carving pumpkins with my sisters. 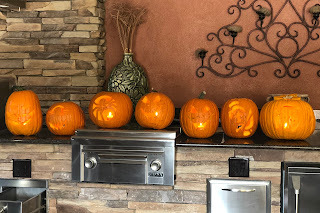 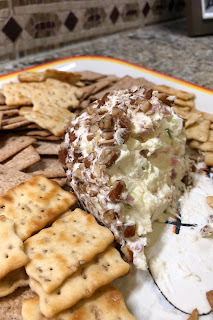 Mom had lots of yummy snacks, and we had fun helping the girls carve the designs they picked out. We had lots of Halloween fun this week!